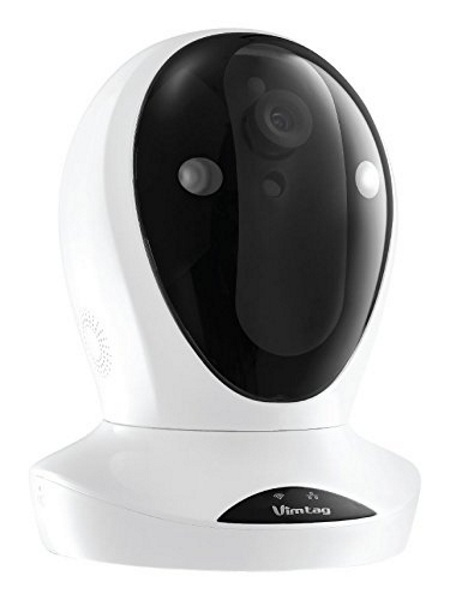 The Vimtag Fencer is aptly named because it looks like a fencing mask. It’s not an attractive bit of tech (unless you’re REALLY into fencing) but it does a stellar job of being a reliable security camera for your home’s needs. This is a full HD camera and is very easy to install with use of the app. You can pan shift and zoom as well as make use of the night vision. There are notifications when the motion triggers go off. It is very functional. The downside is that it doesn’t work as well when there is poor wi-fi. You cannot have a live feed or change the angle of the camera with your phone in these cases. It does, however, allow you to connect via ethernet so you can get around this. The second low point is that if you want to store your files on a hard drive, you need to buy the Vimtag Memo s1 which is more out of pocket. Still for the price, £130, it does a super job. Check out the video below to see the full review.